Following the rise of Asian Filipino-dubbed dramas in 2003, GMA 7, a local television network brought the first Korean series in the Philippines, Bright Girl. I came to watch this series in the middle of its airing because my cousins were so into it, curiosity got the better of me. I don’t recall much of the story’s details but I remember being instantly hooked the moment I started watching it. This is the first Korean series and the one that got me initiated to this whole Korean drama wave. Over the years I watched as many Kdramas as I could, preferring it over shows from other Asian countries. Among my personal favorites are Full House, Goblin, Scarlet Ryeo Moon Lovers, and Signal. Before the Asian dramas became popular in the Philippines, Filipinos were served with shows that have overused plot lines [the kid who grew up poor turned out to be the missing daughter of a rich family; “kabit” (mistress) series; the climax always in a warehouse and somebody getting kidnapped] for so many years. If that’s not bad enough, these shows also took forever to finish. Koreanovelas, as we call them locally are such a breath of fresh air. They usually last for only 16 episodes, they have unique plot lines, and most of the time, even when there’s an evil villain they don’t end up in an abandoned building for the penultimate shoot down. Koreans are also better at making romantic stories; they don’t go for cheesy lines and even when their kissing scenes are usually rigid or too wholesome for comfort, the employ techniques that are effective in inducing that kilig (romantic excitement) feeling. Also, unlike in the Philippines, they don’t have loveteams. You don’t see the same actor and actress getting paired-up over and over again. The interesting plot lines are just one of the things I love about these shows. They often film in the most beautiful locations in South Koreaworst incidentsand that’s what got me dreaming of going there. Wouldn’t it be amazing to visit the dreamy setting of the popular series, Winter Sonata? Now going back to Oppa, I gathered that this term has another connotation. Some women call men with whom they have a romantic interest in as Oppa. In the Philippines, due to the influx of Korean dramas, the word has taken a new meaning. If you hear this from Filipino girls, chances are they are using it to refer to a cute Korean guy. Yes, he must be cute like the leading men in Korea dramas that we binge on. 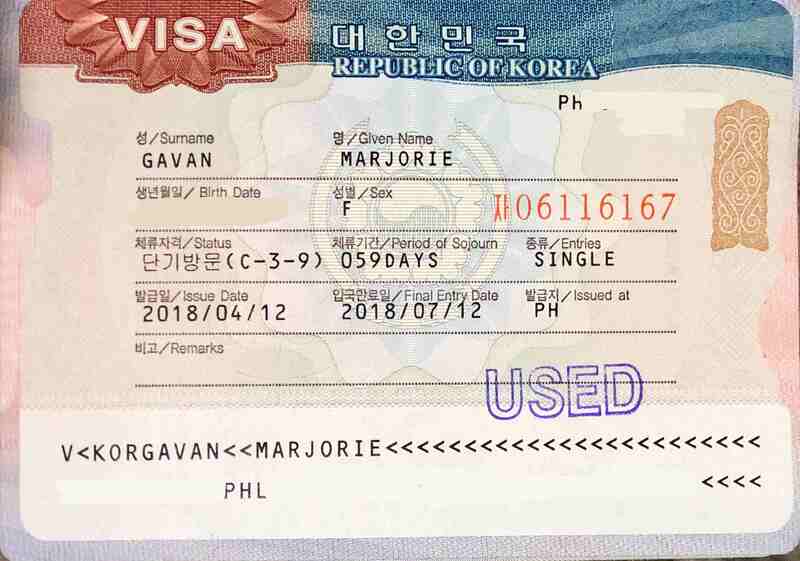 There is a new Korean visa application process for Filipinos starting July this year, which I didn’t experience because I processed my visa in March. The old application involved submitting the required documents yourself to the South Korean Embassy in Taguig. Back then I had to fall and wait in a long queue outside the embassy. I haven’t the mind to bring an umbrella so I don’t even know how I was able to withstand hours standing there with the sun bearing down on me. With the new process, visa application must go through a travel agency, meaning you don’t have to go through the penance-like setting that I had the misfortune of experiencing. For more information on the visa application, I found a pretty detailed guide on How to get a Korean Visa here. I emailed the AirAsia representative written on the voucher that I won in the event to book my flight. It was all a little bit last minute, I have yet to book my accommodation, but my leave vacation has already been approved that I got so worried when it took her a while to get back to me. Finally, it got sorted out; my flight was booked on the 27th of April to the 2nd of May. Sidenote: This is not the first time that I won an AirAsia flight. 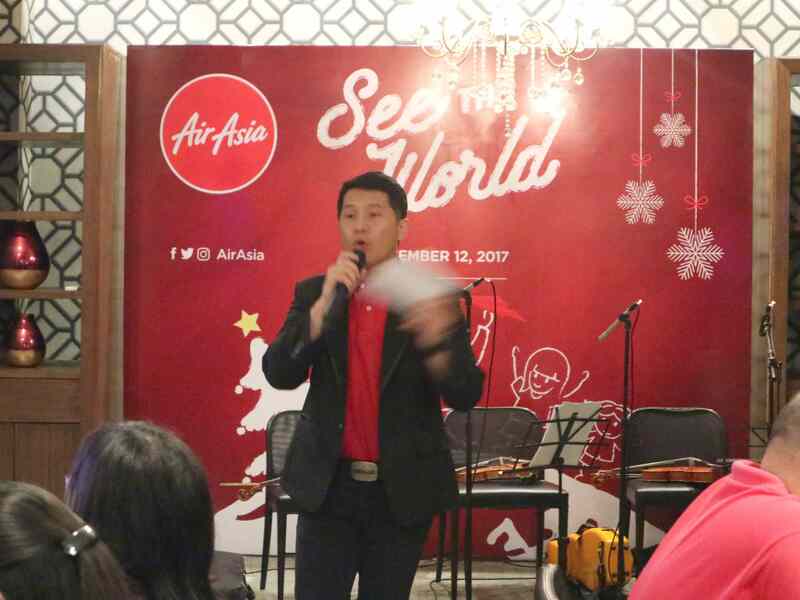 As a matter of fact, I scored a roundtrip trip to Iloilo at another AirAsia event in the early part of this year. I have yet to write that story. To continue, I usually fly at night where I encountered some of the worst incidents of turbulence in my life. Keeping this in mind, I requested the AirAsia rep to book me a morning or an early afternoon flight. And you’ve reached the end of the first part. In the next few days, I will share to you what went down during my 6-day trip to the land of oppas.